Ok, so i started stripping down my 85 4x4 Trooper today and i noticed that it has nice ventiled disc's. 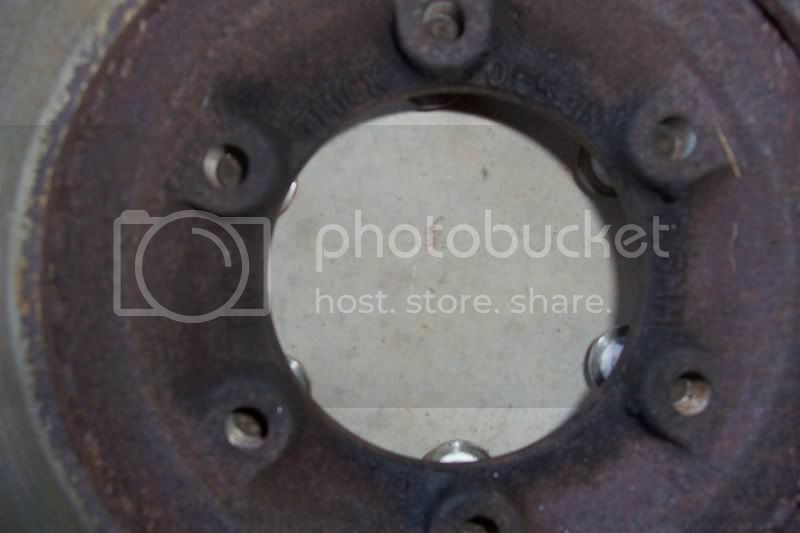 Took a closer look and it looks as though the axel stubs are identical to my 80 4x4 Luv. Going to try swaping the Trooper brakes ito the Luv when i get a few hours spare, i'll take a few pics and post the results. Maybe im wasting my time, this swap seems to easy. Has anyone done this before? Ok had some spare time to try this Trooper to Luv brake conversion. Took the Luv brake caliper off and tryed the Trooper caliper, sucess the caliper bolted up, even the flexible fluid line bolted up to steel line perfect. The Trooper calipers have a larger brake pad surface area than the Luvs, next step is to fit the vented Trooper disc to my Luvs hub. Thanks for the pics of this, this looks like a great option for my V8 truck. Better braking for the about the same cost as Luv components is a big plus. Do you know if this caliper/rotor setup will work on a 2x? I cant see/think of any reason why this setup wouldn't work on a 2wd aswell. Im 99.999999% sure it will work on a 2x4. ive got all the bits here but havent actually done it. 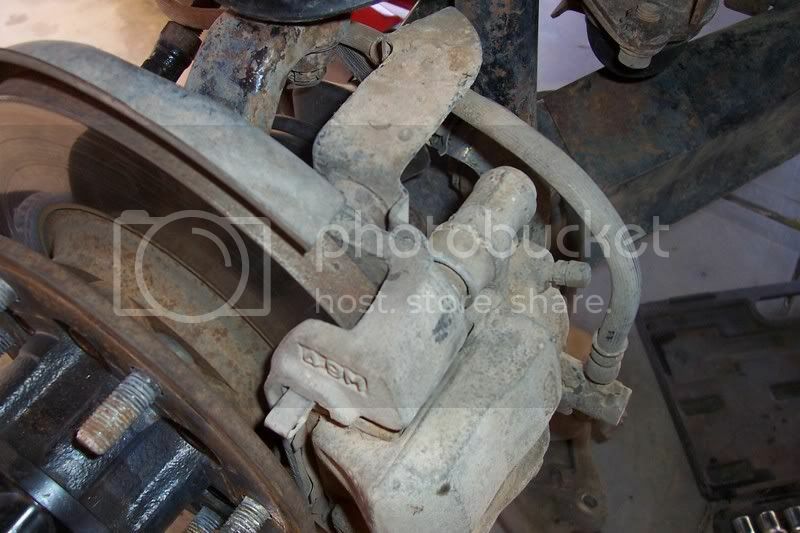 The steering linkages could possible be different. The 2x4 Luv has a central adjustment with a fixed rod end. The later ones 81~ have fixed center drag link and adjustable rod ends. The steering arm on the spindle could be a different length height affecting geometry. Perhaps im being a little over cautious. Make sure the master cyl is a disc brake one. I havent got to mine as im contemplating what to do with the master cyl and booster. Plus ive got way too many jobs to do first. What im wanting to do is use the 88~ discs as they are bigger again but that is when they changed the lower balljoint to point up instead of point down and the spindle wont fit. Current project, 1979 KB Isuzu Ute. Daily driver, '86 Rodeo Spacecab. Chasing parts for Isuzu Impulse. 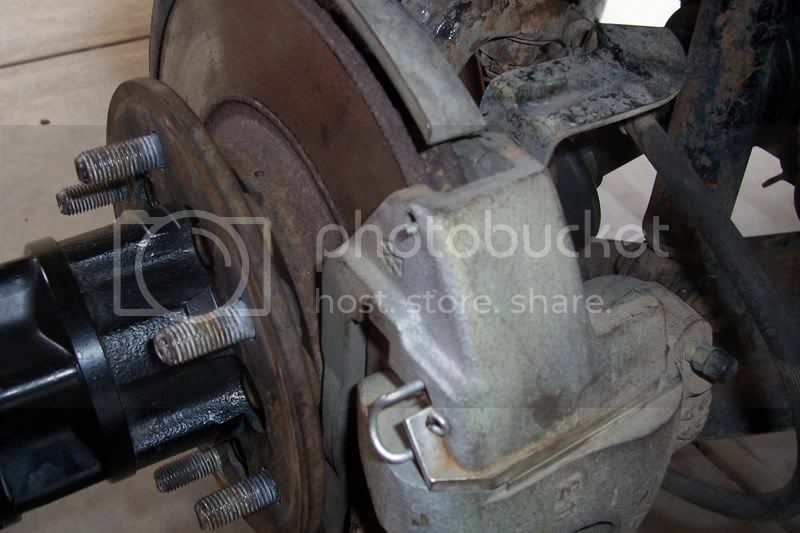 On the 84-86 Troopers the caliper brackets bolt up and the disk should bolt to the LUV hub, 2wd or 4wd. No need to swap spindles. The hubs look like they could be made to work with a little figuring on the inner wheel bearing seal, in case someone decided they wanted to put auto locking hubs on a LUV for some reason. On the 88 and up Troopers I don't know about either the calipers or discs fitting anything on the LUV, so you would have to look at the spindles and ball joints, but I doubt it would be easy to get it bolted up and get the geometry right. I'll be bolting the trooper disc 2 my Luv hubs so can keep my aisin manual locks. 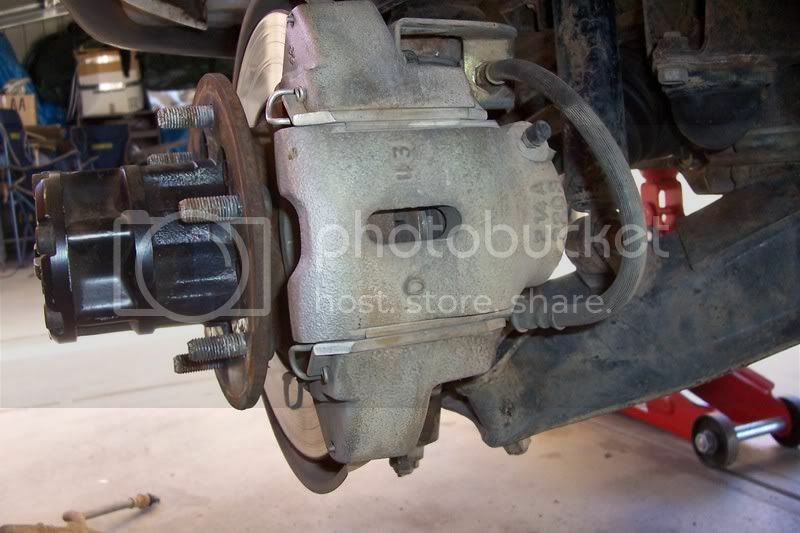 Im also going to use my Luv calipers for a while till i get a good deal on rebuild kits for the trooper calipers. All the auto parts near me have quoted me $50 a kit, thats a ripoff for only 1 rubber ring and 3 small rubber dust boots. 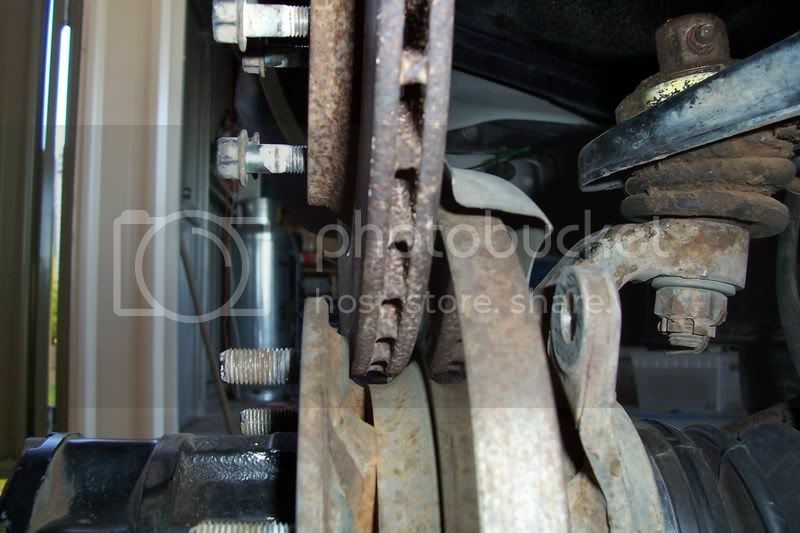 You need to keep the caliper thats matched to the disc. The pads can fall out or just flat out wont fit in. Dont mix and match the calipers unless your sure you know what your doing. Try a place called brake west, McIntyre rd in sunshine north. I get my stuff off them and the prices are pretty good. The Luv caliper should be fine used with the Trooper disc. The Trooper ventilated disc is the same diameter and only a little thicker than the Luvs disk. interesting...my Luv already has the vented discs...wondering if maybe they came factory for US spec 4x4's? '80 Luv 4x4, 3" BL, 1.5" SL, 32/36, 2.25" exhaust...and fuzzy dice. '95 Toyota 4Runner Limited 5-Speed. Only if you have got half worn pads in the luv calipers. If the discs are thicker you will have trouble stuffing a full thickness new pad in. Isnt is something like 12mm for the solids and 20mm for the vented. My solid Luv disc's measure in at 18mm, and they were machined 12 months ago when i fitted new pads. The Trooper disc's i hav measure in at 19mm with a minimum thickness stamped on the disc of 16.6mm. Also took a good look at the Trooper pad vs the Luv pad, the Trooper pad is almost identical to the Luv, the Trooper pad is 2mm wider/longer. I'll be using the Luv calipers, there is little to be gained using the Trooper calipers. Ive never paid any great attention to solid 4x4 discs. As far as i am aware the 2x4 discs are no where near that thick. My 79 4x4 has its original rotors. They're solid. 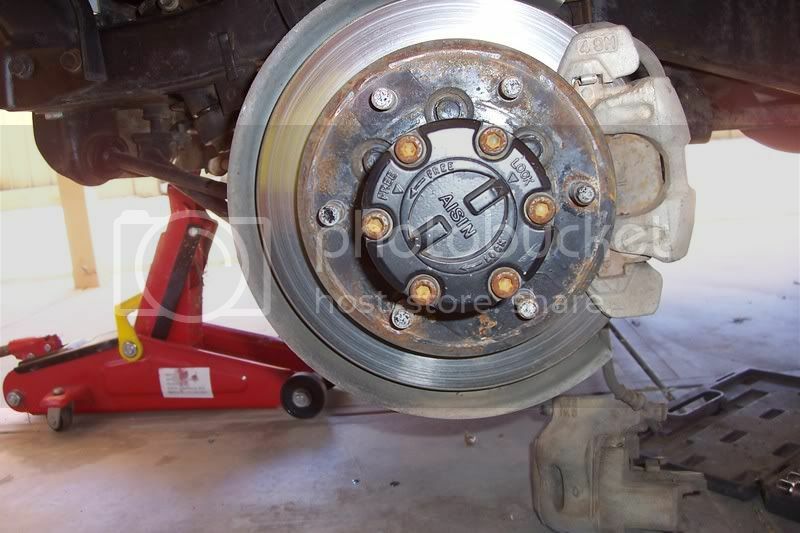 OzLuvTrucker, have you ever weighed the rotors? Are the vented ones lighter? As far as you can see, are they fully compatible? If so, I'm headed for the pick-n-pull. You went there in that?!?! The Trooper rotors feel half the weight of the Luvs solids. Ive just completed the conversion and theyre totally compatible. Its so simple i dont know why i hav'nt seen this done before. Step 1 remove hub from Luv. Step 2 unbolt Luv rotor from hub. Step 3 bolt Trooper rotor to Luv hub. Step 4 fit hub& rotor back on Luv. i think the trooper caliper would be better than the luv. the trooper has floating style pins with rubber boots. 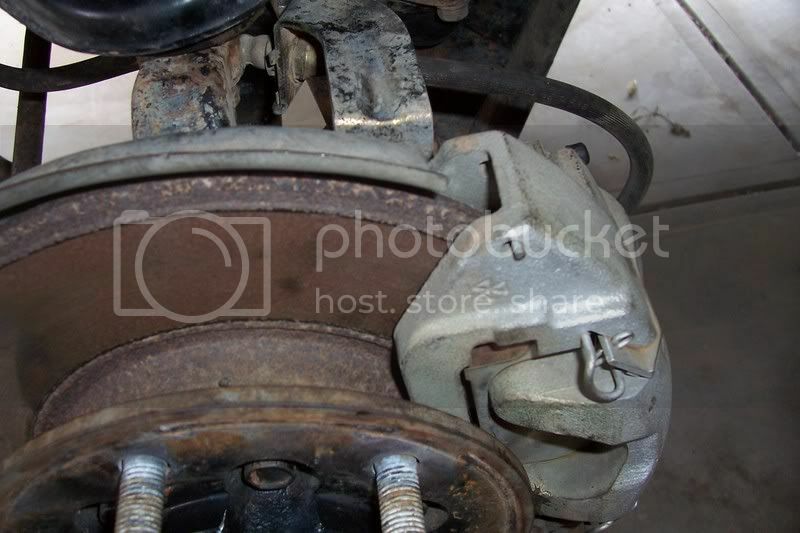 the luv has shims and plate that are exposed to mud,dirt witch equals sticking calipers. will the lines cross, like with the same threads r what. 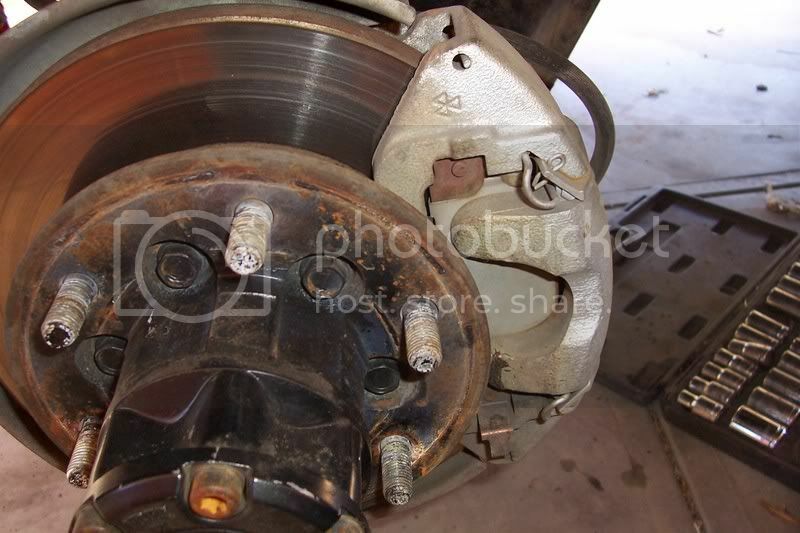 i mean i could just buy new rotors and calipers and bolt them on? the only replacement for displacement is technology. They should, they are both japanese so everything should be metric.